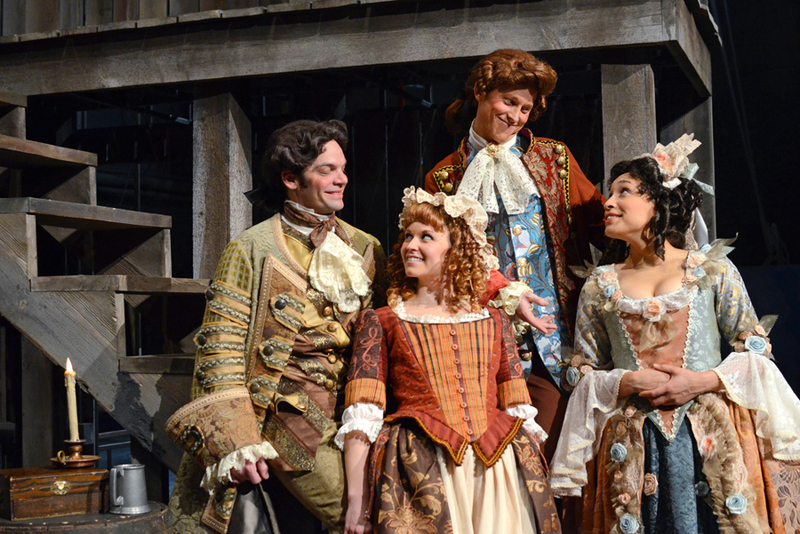 The Beaux’ Stratagem is kind of the 18th-century version of Dirty Rotten Scoundrels—it’s a comedy focusing on two con men trying to swindle young heiresses in the British town of Lichfield. One of the two ends up falling in love with one of the women, which was not supposed to be part of the plan, and things get comically complicated from there. 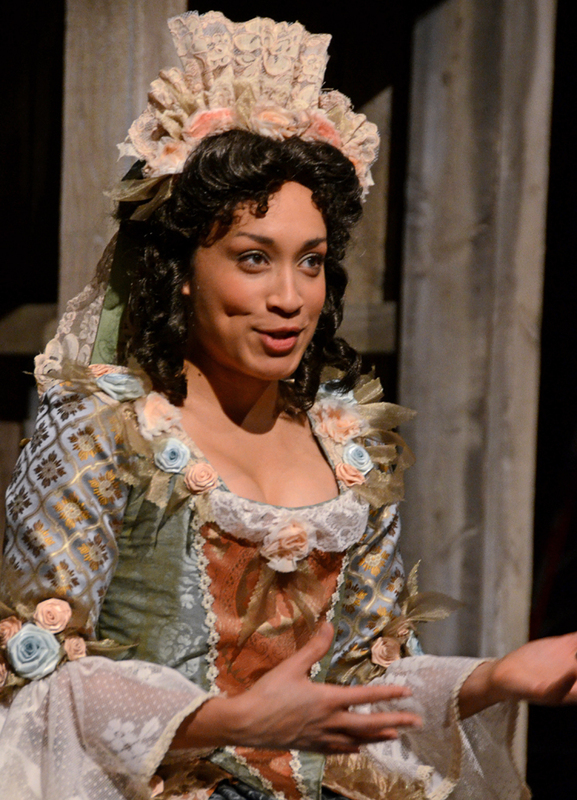 MFA student Bianca Washington as Dorinda. The actors and actresses are all Penn State undergrad and grad students, and I was surprised to hear that Penn State students in the costume design program created all of the costumes as well. William Schroder, who teaches both costume design and scenic design at Penn State, oversaw the costume design. And director Di Trevis is a big deal—she’s an English theatre director with a pretty impressive pedigree. 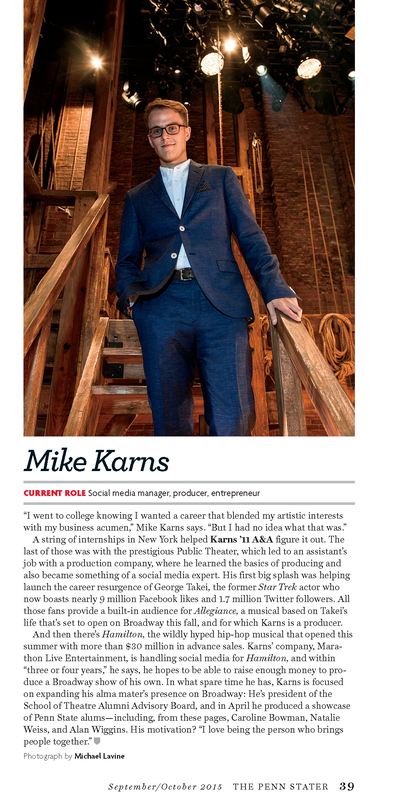 She’s been on campus since the beginning of the semester, working with the cast and crew to get the production ready. The play is what’s called a “restoration comedy,” which as I understand it is a production from the late 1600s (the Restoration period in England) that has a little fun with the social mores of the time. So I get the sense that we’re in for a pretty bawdy, entertaining evening when the show opens on Feb. 24. I’m looking forward to attending a dress rehearsal or two in the days leading up to opening night—I love shooting photos of theatre, especially with cool period costumes like these—so I’ll be posting some more images in a week or so.